Although Greek elections have only this week been set for May 6, speculation is already rising that the vote will result in no viable coalition. 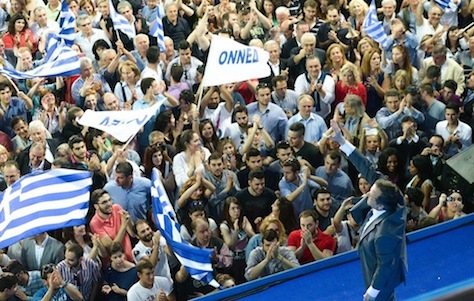 The two traditional parties of Greek politics since 1974 have been the center-right’s New Democracy (Νέα Δημοκρατία) and the center-left’s Panhellenic Socialist Movement (Πανελλήνιο Σοσιαλιστικό Κίνημα), or PASOK. 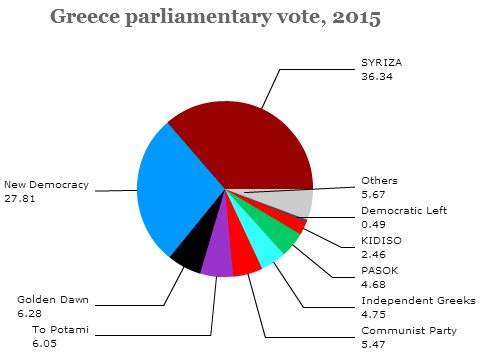 But polls leading up to the legislative elections, however, show that the Greek two-party system appears to have all but broken down in the face of voter disgust with both New Democracy and PASOK, which both supported the ‘troika’ bailout from the European Central Bank, the European Commission and the International Monetary Fund, along with the accompanying reforms and budget cuts, none of which has been popular among Greek voters, to put it mildly. 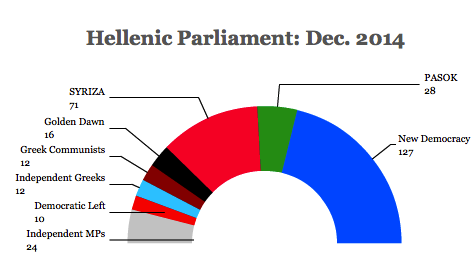 Polls also suggest that no single party commands much over 20% in support and accordingly, up to nine discrete political parties could enter the Hellenic Parliament after May 6. That includes New Democracy and PASOK, but also KKE (the Greek Communist Party), SYRIZA (the Coalition of the Radical Left), the Democratic Left, the Ecologist Greens, the Independent Greeks (a center-right anti-austerity group), Golden Dawn (a neo-fascist, neo-nazi party) and LAOS (a right-wing Orthodox party) — the Greek electoral process provides that any party with over 3% of the national vote will be represented with seats. We (finally) have a date for the Greek parliamentary elections: May 6. Under the Greek election system, which will be conducted under a new 2007 electoral law, 250 of the 300 seats in the Hellenic Parliament will be awarded on the basis of proportional representation (only if the national tally exceeds 3% of the total vote, however). 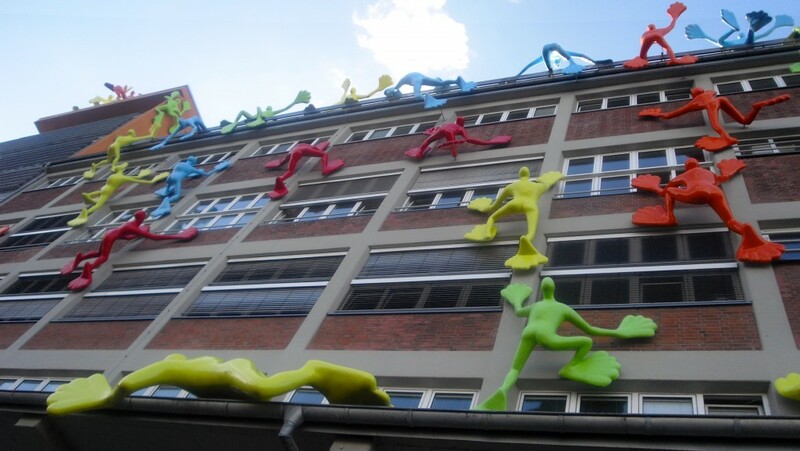 The additional 50 seats will be awarded to the party that wins the leading number of votes. Currently, the top two vote-winners in polls are Greece’s two longtime parties: New Democracy (Νέα Δημοκρατία), which has led most polls going into the vote with just over 20% of likely voters, and PASOK (the Panhellenic Socialist Movement, or Πανελλήνιο Σοσιαλιστικό Κίνημα), which polls anywhere from 12% to 16% under its new leader, former finance minister Evangelos Venizelos. 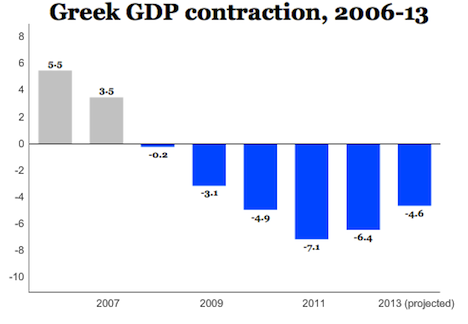 Both PASOK and New Democracy support the current round of bailouts from the ‘troika’ of the European Central Bank, the European Commission and the International Monetary Fund, including regulatory reforms and controversial austerity measures that have led to widespread cuts in public spending, strong disapproval from the Greek electorate and have helped stall Greek GDP growth. Together, PASOK and New Democracy approved the appointment of current prime minister Lucas Papademos, who succeeded former PASOK prime minister George Papandreou (who will nonetheless be standing for election on May 6 in Achaia). Accordingly, both PASOK and New Democracy are at near-record levels of unpopularity heading into the May 6 election. The latest poll from Public Issue, however, shows New Democracy with just 19% support and PASOK with 14.5%, which is too little to form a coalition — any party (or parties) need to win between 36% and 39% of the total vote to command enough seats to govern. Taken together, the 33.5% represents the lowest total of the two of any poll to date. Nonetheless, at least four anti-bailout parties have also emerged with anywhere between 8% and 12% of the vote, making it likely that both ND and PASOK will receive traditionally lower support than ever. The KKE, Greece’s longtime Communist Party, wins 11%, SYRIZA, a coalition of the Radical Left no longer associated with the KKE, wins 13%, DIMAR — the “Democratic Left,” a splinter group from SYRIZA, wins 12%. Meanwhile, the Independent Greeks, an anti-austerity group that splintered from New Democracy, also wins 11%. The neo-fascist Golden Dawn polled 5% and each of the Ecologist Greens and the right-wing Popular Orthodox Rally polled 3%. Yannis Koutsomitis (follow him on Twitter @YanniKouts for all matters Greek) directs us to this profile of Evangelos Venizelos today, who’s the newly elected leader of the center-left Pasok party in Greece in advance of elections this spring. Venizelos’ ill-fated challenge to Papandreou for the Pasok leadership in 2007, after Pasok was defeated by New Democracy, opened the long, winding road to the March 18 party leadership elections. 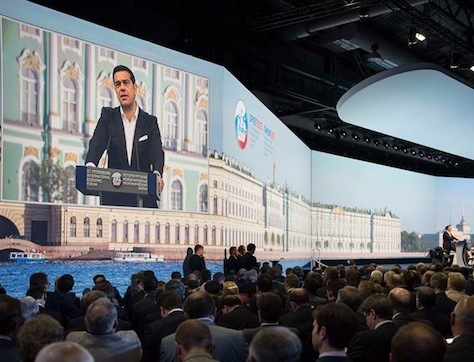 That the two men disliked each other deeply was plainly apparent, if for nothing else because of Venizelos’ withering criticism in 2007 of Papandreou’s intellectual and political capabilities. Venizelos seemed to view Papandreou – whose father and Pasok founder Andreas Papandreou had launched the minister’s career by appointing him government spokesman – as the princely dauphin whose hereditary right to the throne blocked his own great ambitions. 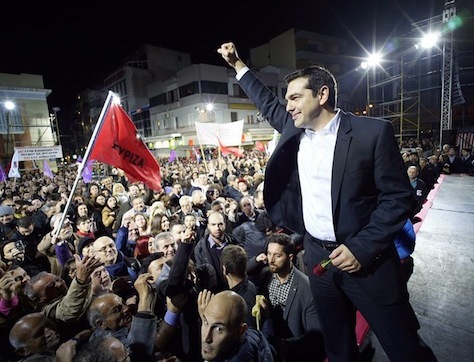 What will happen in this spring’s Greek elections? Evangelos Venizelos, formerly the beleaguered finance minister of what remains of the Greek government, fresh off a negotiation of Greece’s second bailout (including an orderly debt writedown deal with private creditors), won the uncontested leadership of Greece’s main center-left party Sunday, in advance of legislative elections expected to occur in late April or early May. Although he had only served as finance minister since June 2011, Venizelos quickly became battle-tested in having faced down the “troika” of the International Monetary Fund, the European Commission and the European Central Bank. 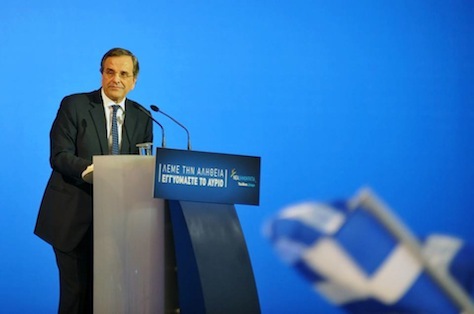 If you can negotiate against Angela Merkel, Christine Lagarde and who-knows-how-many creditors, and you can emerge with Greece remaining intact, however delicately, perhaps you have a decent shot are rehabilitating the Panhellenic Socialist Movement (Πανελλήνιο Σοσιαλιστικό Κίνημα), or “PASOK” (ΠΑΣΟΚ in Greek). But if Greece’s economy is in shambles, its politics are perhaps in even worse shape — no one thinks Venizelos’s new job will be any easier. A new poll today shows PASOK with just 12.5% support (down from the 44% it received in the 2009 elections), and Greece’s center-right New Democracy party (Νέα Δημοκρατία) with just 22.5% support (down from 33.5% that it received in the 2009 elections). 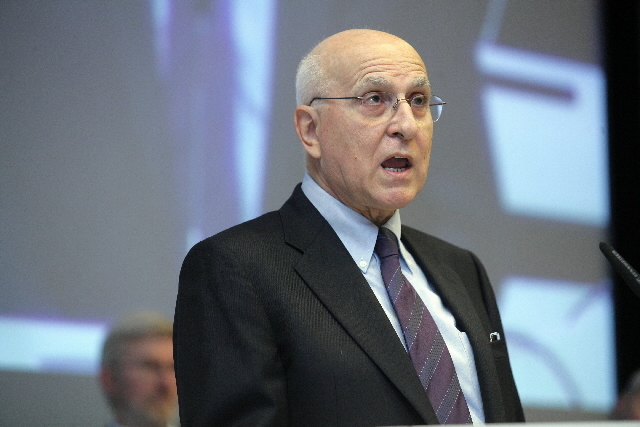 Former minister of culture Antonis Samaris will lead New Democracy into the election, which will be only the second Greek election that neither a Papandreou nor a Karamanlis will lead one of the major parties, at least since Greece returned to democracy in 1974.